The Unemployment Insurance Fund is an entity of the Department of Labour mandated to collect and pay unemployment insurance benefits. 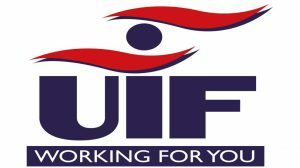 Over above the unemployment insurance benefit the UIF also caters for the following benefits: Ordinary, Maternity, Adoption, Illness and Death benefits. Since employers are expected to contribute to the Fund and employees are expected to draw benefits when they become unemployed or draw benefits as a result of the aforementioned benefits, they should be well vest in relation to the procedures and processes of the Fund.